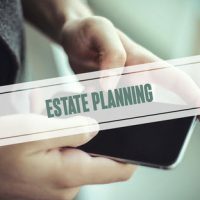 For individuals who died after April 26, 2001, and whose assets didn’t exceed $40,000, a small estate probate proceeding is an alternative to standard probate. Opening a small estate proceeding allows the court to appoint a personal estate representative to settle claims and make a distribution of assets. These types of proceedings are typically handled more efficiently by the courts, and they often take less than 120 days from the time the Petition for Administration of Small Estate is filed to the court’s issuance of the final order, which closes the proceedings. Even though small estate probate may seem simple, it’s best to speak with a probate attorney who is familiar with the various nuances of probate in case the estate in question doesn’t actually qualify. Real estate and any real estate holdings that may exist in a different jurisdiction, along with the assessed property value for the year the individual passed away. Current bank and credit union accounts, bonds, stocks, and retirement accounts. Vehicle title or registration documents and written confirmation of the vehicle’s value. The value can be obtained using an online source that calculates the trade-in value. Any uncashed checks made payable to the deceased. Names and address for all legatees (non-related persons, businesses, or agencies) named in the will, including their apartment numbers and zip codes. If the filing is accepted, there needs to be publication if the estate’s assets exceed more than $1,500, unless the heir is the deceased’s spouse or minor child (not yet 18 years old), or the heir is the deceased’s adult child and estate assets don’t exceed $11,500. If publication is required, the Probate Division sends a Notice of Appointment, Notice to Creditors, and Notice to Unknown Heirs to a newspaper that the personal representative chooses. The notice should state the decedent’s estate is being administered as a small estate, states the personal representative, and puts potential creditors and unknown heirs on notice that they have 30 days to file claims or object to the personal representative that was appointed. The process is concluded when the Court signs a final order, which directs the personal representative on how to pay debts, collect estate property, and distribute the remaining estate assets to rightful heirs. This must happen as soon as the final order is approved. Hiring a knowledgeable probate attorney in Washington DC is in the best interest of the estate, whether it’s considered small or not. The skilled team of attorneys at Tobin, O’Connor & Ewing have years of experience with various probate matters. Contact our office today at 202-362-5900 to schedule a consultation and let us handle your probate, trust, or estate administration matters. After losing a loved one, you have enough to deal with emotionally, without the added headache of how to probate their estate.